As I detailed in my previous post, using a portion of my food shopping budget at Costco has allowed me to regain control of my out of control grocery bill. While I do find shopping at Costco helpful, it is not the answer to everything for me. I know that I am not alone in my quest to save money at the food store. I’ve read more than a few blog posts about how people save money on their food bill. I’ve seen the photos that people include of their weekly grocery hauls. But what is missing from almost every photo and grocery list? Real food. I’m talking fresh fruit, vegetables, unprocessed meat…they are missing or barely there in almost all of the posts that I have read (not all, but most). I am not a food snob, but I am committed to providing nutritious meals to my family. I am not willing to accept the fact that in order to stay within my food budget I must feed my family boxed meals, frozen dinners, processed meat, and fluorescent colored fruit-type things. I’m sorry, but I just won’t accept that. But that is the lie that you are led to believe you must accept. I’m here to tell you that that is just false. What it comes down to are choices. If I have a dollar to spend I can choose to buy a bag of chips on sale, a box of macaroni and cheese, or a pound of dried beans. That same dollar can buy cheese cracker sandwiches at the local dollar store, a bag of candy at the check out line, or a huge bunch of fresh kale from the produce section. Some of the most nutrient dense foods are actually cheap, like the kale and beans in the examples above. Eating well on a budget can be done. Below you will find a few of the places that I go to to find bargains, along with some of the unconventional methods I employ to purchase food. How to save money on fresh produce. (1) Start you own produce co-op. Did you know that you can completely eliminate the middle man (the grocery store) when it comes to buying fresh produce? Yep, you can. I do it every single week. Most food distributors are more than willing to sell directly to you. You will likely need to meet a minimum order amount, and unless you are interested in eating forty pounds of carrots by yourself, you should gather up a few friends. Do a search of food distributors in your area. Contact the sales department and ask them if they will sell directly to you. They may very well say yes. You will be amazed at how much you save. We’re talking 40-60% less than at the supermarket for the exact same product….except it’s far fresher coming from the distributor. You can buy a few cases and split it among friends. (2) Participate in a local produce co-op. Not interested in doing all that work yourself? Search out local produce co-ops. There are more out there than you may realize. Some of them save you money; some of them don’t. Be wise. The quantity you receive may not justify the check you write. Most co-ops are set up to where you do not have the ability to choose your produce. You may receive burdock root, daikon, and rutabagas. It’s not that these ingredients are horrible, it’s just that you may not want them. Do your research. CSA’s (community supported agriculture) are another option. Here you buy a share in a farmer’s harvest. It’s a great way to support local farms. I would so love to be able to do this, but I can’t work it into my budget right now. (4) Shop store front farmer’s markets. I’m not sure if this is a Northeast thing or not, but there are more and more store front, farmer’s market type stores cropping up (ha!). The name is a bit deceiving because it’s not a farmer’s market. It’s more like a discount produce store. I have a friend who shops at one such store every week. She tells me of $.75 cauliflower, green beans that are $.59 per pound, and apples for $.79 per pound. I am amazed at the amount of fresh produce she bags for a few dollars. Begin to garden. Use what little space you have to try your hand at growing something. Greens are easy to grow and freeze nicely once blanched. Tomatoes can be canned, made into sauce, or sun-dried. It’s incredibly rewarding to whip up a meal using ingredients that you have grown yourself. How to save money on bulk items. (6) Start your own buying club. Buying clubs are sponsored by several companies. The idea here is to gather people together, form a group, and buy in bulk directly from the company. Buying clubs are not for everyone. You need to be able to store twenty five pounds of oats or fifty pounds of flour. The quantities are large, but manageable if you split it with friends. As with everything else, not all items are cheaper in a buying club. As the coordinator of a group, you are able to earn money on purchases that group members make. The current company that my group is with credits the coordinator with 5% of the group’s sales. The people in my group pay nothing towards this; it’s a benefit that the company gives out. There is a bit of work involved in coordinating a group, but it’s not too much. You are also able to earn credit if you refer people to the company. For instance, Wholeshare, the company I work with, provides me with a $100 credit if someone I refer starts up a group and places an order. There’s also a $50 bonus for the person who starts a group. It’s a win-win for everyone. Here’s the link to get you started if you are interested. (7) Participate in a buying club. Maybe you do not want to do the work involved in coordinating a group of your own. You should search out groups in your area and join. Companies like Wholeshare and UNFI likely have established groups in your local area. There are so many sites available it can be a bit overwhelming. I’ve streamlined my online buying to two sites: Amazon and Vitacost. Amazon has many benefits and frequent sales, so it worthwhile to stop by and browse. 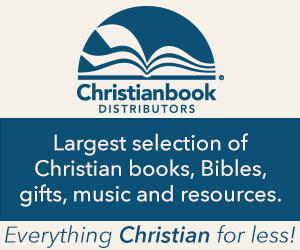 Their Subscribe and Save service offers additional savings. Even if you opt to subscribe to regular deliveries of an item, you can cancel out that subscription at anytime. My favorite site to go to is Vitacost. Hands down, they have the best prices on organic and all natural foods. They run sales regularly and offer codes for additional savings nearly weekly. Again, check out their prices, then wait. I can almost guarantee that the item you need will go on sale in short time. I also like the fact that Vitacost offers a sign up bonus on referrals. If you open an account at Vitacost using a referral link (like this one) and place an order, both you and I receive a $10 credit. Nice for everyone. How to save money on meat. (9) Buy in bulk directly from the farmer. There is nothing like sourcing your meat directly from the farmer who raises it. You have the ability to talk with the farmer about how he cares and feeds his animals. Your direct purchase from the farmer supports that farmer, his family, and his livelihood. The quality of meat that comes from small farms is superior to that of large, commercial farms. There is just no comparison. The prices are often better than you will find at the grocery store or local butcher shop. We view a purchase like this as an investment. The price up front is high, but in the long run, there are great savings to be had. For this venture, it is great to have a group of friends to go in with. It lessens the financial strain, and you won’t have to worry about where you will store six hundred pounds of beef! How to save at the grocery store. Use coupons. Go directly to a company’s website for coupons that you can download. This way you are saving money on the products you already use. You can also call up companies and simply ask them to mail you coupons. I’ve done this, and most companies are generous, sometimes even including coupons for free items. You can also sign up for free coupon services like Mambo Sprouts. They offer coupons for organic and natural products. Buy in bulk at the store. Certain stores like Whole Foods offer a 10% discount when you purchase a case of a particular item. If an item that I regularly use goes on sale at Whole Foods, I purchase a case, if I can, to stack the savings. Shop for meat when the store opens first thing in the morning. I have found that the best deals in the meat department are found in the morning. The shelves are freshly stacked. Often times meat that is marked at clearance prices is widely available. Our store marks down meat when it is within two days of the sell by date. That mark down meat is still perfectly good (but do be sure to double check the dates). Take it home and pop it in the freezer. Mark downs on meat are hit and miss, but it is always worth a look. PHEW! That’s a lot to digest. Disclaimer: Some of the above links provide me with a credit/bonus if you sign up and make a purchase. As mentioned, each link also provides a bonus to you as well. I may be described as many things, but a griller is not one of them. It’s just not something that I have gravitated to and there’s really no reason for it. Having said that, I do enjoy a good BBQ and have enjoyed some absolutely delicious barbecue feasts. Here’s a recipe that will change up the typical barbecue fare. 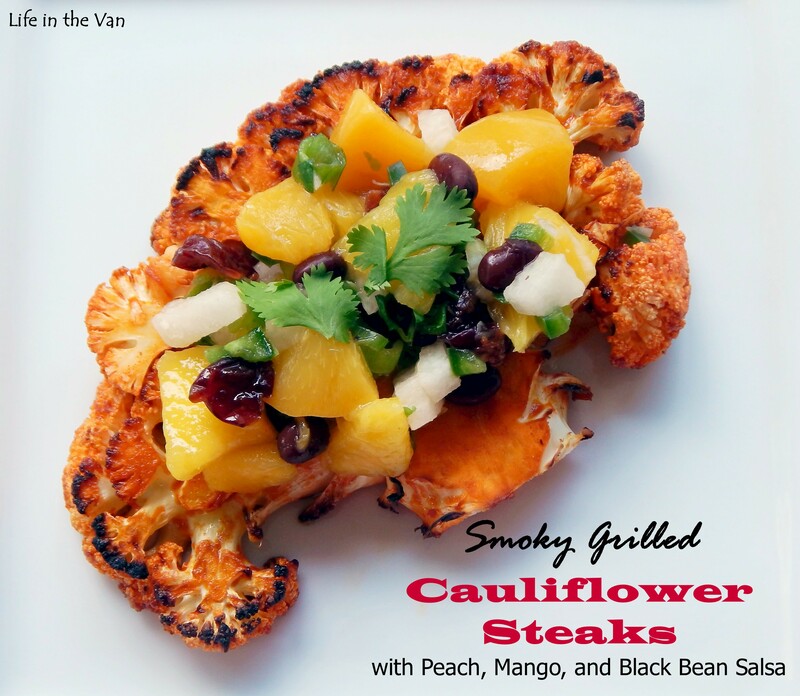 Grilled cauliflower…with a colorful kick. Remember grilling is not just for burgers and big slabs of meat. For a moment, I want you to think outside of the box. Most of us typically eat cauliflower florets…nothing wrong with that! However, of late, I have been on a cauliflower steak kick. A cauliflower steak is nothing more than the center cuts of a head of cauliflower. They can be grilled or roasted and are like a blank canvas waiting to be filled with yummy goodness. To create cauliflower steaks you first want to trim the bottom stem to make it level with the bottom florets. Next, remove any leaves. Stand the cauliflower on its stem. Using a sharp knife trim 1/2″ – 1″ off of the right and left sides of the cauliflower head. Reserve the florets for later use. Place the remaining head onto the baking sheet you will be utilizing for cooking. I recommend lining the baking sheet with parchment paper (for a snappy cleanup). With a sharp knife cut through the center of the cauliflower. From there begin slicing the halves into 3/4″ – 1″ thick slices. The two center cut steaks should hold together nicely. You will likely begin to lose florets off of the end cuts. Don’t fret. Hang onto the florets and pop them right back into place once you situate the steaks on the baking sheet. Now you can brush them with oil, add a spicy rub, sprinkle with parmesan cheese, or just salt and pepper these bad boys. If roasting, they’ll require 25-30 minutes cooking time at 375 degrees. But today, we’re talking about grilling these guys up. The following recipe combines many different elements: smoke, heat, sweet, and tang. The vibrant orange color, which is sure to catch people’s eye, comes courtesy of some smoked paprika. I hope you enjoy! Next week I have one more cauliflower steak recipe to share. So be sure to check back on Monday! Begin by preparing the salsa. Run a sharp knife along each side of the pit of the mango, separating it into two halves. Lightly brush the flesh with olive oil and place on the grill for 2-3 minutes. Remove from the grill and allow to cool until you are able to handle. Remove the mango from the skin and dice. Add the peaches, scallions, jicama, mango, jalapeno, black beans, and cherries to a bowl. Whisk together one tablespoon each of olive oil, rice vinegar, honey, and fresh lime juice. Stir in 1/4 teaspoon of salt. Pour the mixture over the salsa ingredients. Stir and allow to sit. Keep in mind that the longer you allow the salsa to sit, the hotter it will become. However, there is not enough jalapeno in the mix to produce an overly spicy salsa. Cut your cauliflower into four steaks as described above. Arrange the steaks in a grilling basket. Whisk together 2 tablespoons canola oil, 1 tablespoon honey, the juice of half a lime, 1 teaspoon smoked paprika, and 1/2 teaspoon salt. Brush the the top, bottom, and sides of the steaks with the mixture. Place the basket onto the grill and cook for 3-4 minutes per side. Be watchful to prevent burning. Anytime you are adding something sugar based to the grill, in this case, honey, you increase the chance of burning. If burning starts, move the basket to a cooler area of the grill and adjust the cooking time accordingly. The steaks should be slightly fork tender, but not soft. Arrange the grilled steaks on a platter and top with the salsa. Spoon the remaining salsa into a bowl and serve on the side. Garnish with a few cilantro leaves and serve. Our home has always been an allergy friendly home with regards to food. Thankfully, neither my children or I have anaphalactic reactions to our “no-no” foods. Of late, my middle son has been complaining of various physical and cognitive troubles. I went with my gut and took him in for a high level food sensitivity test**. A few years ago we completed allergy testing and as a result, omitted eggs, wheat, and certain cow’s milk products from his diet. All of my children, despite their sensitivity to cow’s milk, have been able to tolerate good quality butter and cheese. That is until last week’s test results came in. It appears that my son can no longer tolerate any dairy including cow, goat, or almond varieties. Sigh. So what does that mean for me, the mom and cook? More adjustments. In the grand scheme of things, these are minor problems to deal with. After a week of removing all of the problem foods, my son proclaimed that he had a pain free, achy free, acid reflux free week! He wasn’t as tired and was able to think more clearly. I am so very thankful for that. I can’t wait to see the improvements that will continue with more time! There is one positive result in determining food sensitivities. They point us back to simple, pure food, food in its whole state, food that nourishes and heals, not just food that fills the belly. I’m thankful that my kids are all on board for these changes. They know what many adults struggle with: if you eat better, you’re likely to feel better. However, they are kids. There are times when they want a cookie; there are times when I want a cookie; there are times when all of us just want a cookie! We don’t make a steady diet of treats, but I am not opposed to the occasional sweet treat. So today, as I stared at my pantry trying to figure out a new way to make a cookie that everyone could eat, one that was gluten free, egg free, and dairy free, my eyes met a can of black beans. Hmm. I wonder? Black beans. Cookies. I think I can make this work. Now some of you may be grimacing at the thought of beans as the base for a cookie. My kids would grimace too. I decided I would need to do this experiment covertly. So while the kiddos were soaking up the beautiful weather, I got to work. The results? 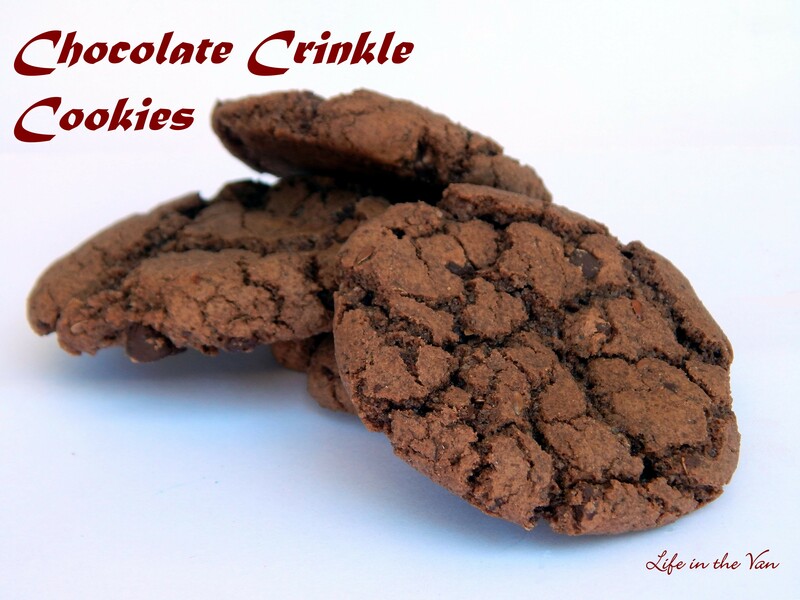 Simply delicious, chocolate cookies. They are soft in the middle, with a slight crunch on the outside. You would never ever know there were beans in there…I promise…pinky promise! You won’t miss the butter, the eggs, or the gluten! My kids do know me all too well, though. One asked, “So, Mom, what’d you put in these this time?” When I responded that there was a can of black beans in there, no one even flinched. Now, I am not proclaiming that these cookies are healthy; they’re not. They are but an option for an occasional treat. However, they do boast less overall fat, less saturated fat, less cholesterol, and less sodium than traditional homemade cookies. They also have a good amount of potassium, iron, fiber, and protein. For those of you who do not require a gluten free diet, you can opt to substitute regular, all-purpose flour in lieu of the sorghum flour. However, the use of tapioca starch (flour) is non-negotiable. Preheat the oven to 350 degrees. Line a stainless steel baking sheet with parchment paper and set aside. Drain and rinse the black beans. Please the beans, oil, and chocolate extract into a blender or food processor. Puree the mixture until smooth. Place the puree into the bowl of a stand mixer fitted with a paddle attachment. Melt 1 cup of the chocolate chips according to package instruction. Pour the melted chocolate into the bowl and mix together until smooth. Add in the granulated sugar and mix for one minute. Sift together the sorghum flour, tapioca starch, cinnamon, and baking soda. Add into the bowl along with the salt and remaining chocolate chips. Mix together until all of the ingredients are incorporated and smooth. Using a tablespoon size scoop, scoop out slightly heaping tablespoons of dough. Roll the dough between the palms of your hands to create a ball. Gently flatten the ball to 1/4″ thickness. Place the cookies 2 inches apart on the baking sheet. Bake for 11 minutes. Remove from the oven and allow the cookies to sit on the tray for 5 minutes before transferring the cookies, with a spatula, to a cooling rack. Once completely cooled store in an airtight container. In between batches, cover the remaining dough in the bowl with plastic wrap to prevent drying. ** This is NOT an affiliate link; I do NOT receive any compensation for you visiting the Immuno Lab site or purchasing a test kit. I simply include the link because we have found that the results of these tests have been spot on in identifying problem foods for multiple members of our family. We found that the testing was significantly cheaper when conducted through our physician’s office than directly through the lab. Always Consult your doctor. Normally by this time in April I have cleared out my garden beds, turned the soil, and planted my early seeds. I’m not sure where the time has escaped to this spring, but I have yet to pay any attention to my poor little garden. A little laziness now will have consequences I won’t be terribly happy with later. I’ll miss out on fresh spring peas, crisp radishes, tender spinach, and my favorite red leaf lettuce. If you have a garden, be it humble like mine, or massive in size, I imagine you enjoy stepping out to pick a little of this and a little of that to include in your meals. It’s as fresh as it’s ever going to get when it comes right from your own garden. The composition of my soil is ideal for growing greens, so a fair amount of my garden space is dedicated to growing kale, spinach, chard, and various types of lettuce. When it’s time for a salad, I pop into the garden, colander in hand, and just pick away. Some of the greatest salads come together when you simply pick what is ready. The different colors, textures, and flavors make each bite unique. While I have fully embraced spring and its fresh flavors, I still love the flavors of fall. This salad combines both the freshness of spring, with the warm flavors of autumn. It’s a delicious salad that pairs especially well with pork. It’s not your ordinary salad or your standard vinaigrette. The vinaigrette is a flavorful combination of honey, apple cider vinegar, and cinnamon. It’s a little unexpected but in a very good way. Begin by making the croutons. I have opted for Pumpernickel croutons because I was looking for a unique flavor to add to the salad. You can certainly opt to use your favorite variety of bread. I used the small party type pieces of bread for my croutons, as I wanted a thin crouton, not a big, bulky one. I cut each small slice into a 3×3 grid, producing nine little pieces per slice. Toss all of the cubes with the olive oil and salt. Spread the bread out onto a baking sheet. Bake at 350 degrees for 7-9 minutes, or until the bread is crisped as desired. Remove from the oven and set aside. Create your salad by spreading the spring mix onto a large, oblong serving dish. Using an apple corer/sectioner, core and section the apple into eight pieces. Thinly slice each piece of apple and scatter over the spring mix. Peel the fibrous skin from jicama. Cut the jicama into 1/4″ thick rounds, then thinly slice. Scatter on top of the salad. 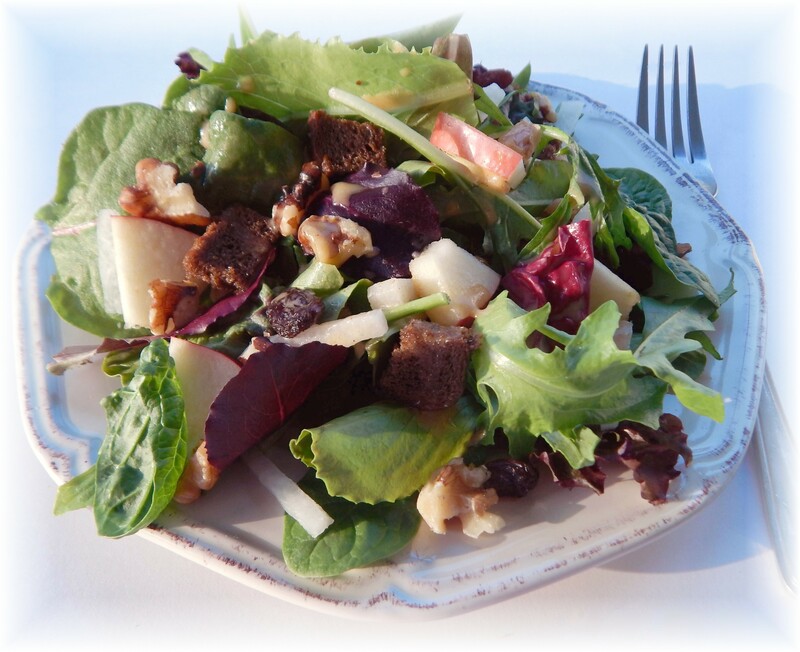 Top the salad with the toasted walnuts, raisins, and cubes of Brie. Lastly, place the croutons around the salad. To create the cinnamon vinaigrette, place all of the vinaigrette ingredients into a blender. Process until the ingredients are emulsified. You can just as easily add all of the ingredients together into a jar with a very tight fitting lid. Simply shake until the vinaigrette comes together. Serve the dressing on the side or add directly to the salad and toss together to coat. If adding the dressing directly to the salad, keep the croutons on the side in a small dish. The Bird, the Bread, the Bake Off. I remember cooking my first Thanksgiving meal. I was a newlywed who was still finding her way in the kitchen. At that time in my life, I regularly turned to Aunt Jemima, Betty Crocker, and the Gorton’s Fisherman for cooking advice. They were always so helpful and reliable. Cooking from scratch was not something that was important to me at the time. However, I knew that I wanted to impress my guests at my first Thanksgiving meal. I figured that I would cook both a turkey and a fresh ham, neither of which I had ever cooked before. I feel really old making this statement, but this was before we had a desktop computer. I didn’t have a plethora of cooking advice and recipes that were strokes away, and, at that time, I don’t even think I owned a cookbook. I figured that I would wing it. How hard could it be? I planned out the menu which included the traditional green bean casserole, mashed potatoes, corn, and a pumpkin bread courtesy of Pillsbury. The morning of Thanksgiving came. I cleaned my bird, which I must admit scarred me a bit, popped it in the oven, and began working on my other side dishes. In short time my potatoes were cut and soaking, and the green bean casserole was assembled and ready for the oven. But lurking from the top shelf of the refrigerator was the fresh ham. I was stumped. I took out that ham, unwrapped it, and stared in awe at the copious amount of fat that encrusted the meat. I knew how unhealthy all of that fat was so I decided, that since I loved my family so much, I would remove ALL of the fat from the ham and boil it. Yep, boil it…with all of the fat removed. I regularly purchased boiled ham from the deli counter so this seemed like a logical, viable option to me. So, I popped that ham into a big stock pot of water, covered it, and cooked it…for a very l – o – n – g – g – g time. I wanted to be sure that any of the residual fat that I had missed was boiled off. By this time, the kitchen was filling with the aroma of seemingly delicious food. I turned my attention to my box of Pillsbury Pumpkin Bread. This was a special meal so I knew that I wanted to spruce up the bread a bit. I prepared the batter and added in some fresh apple and a handful of raisins. I took a swipe at the batter and was surprised at how good it tasted. I thought that the next time Pillsbury was looking for recipes for their Bake Off, I would submit this one. It was so creative. I mean, who would think to put some apples and raisins into a pumpkin bread. Ahem. Now as I write that, I shake my head and chuckle at how absurd that was, but back then, I was serious (or maybe clueless). The table was set. Appetizers and snacks were at the ready. Guests were arriving. The bird was resting, and the ham was still simmering…no joke. My husband began to carve the turkey, which appeared to be quite dry. I made sure that I made plenty of gravy because gravy could cover a whole world of wrongs. While my husband began to assemble the dishes on the buffet, I finally removed the ham from the pot and laid it on the cutting board. When my husband walked back into the kitchen and saw the gray mound sitting atop the board, he asked “What is that?” I assured him that it was the ham. We both commented that we had never seen gray ham…ever. I encouraged him to slice it up. We placed the ham on the buffet and offered a disclaimer to our guests. I admitted that I had never cooked a ham and believed that I overcooked it (boy, that was an understatement). Our Thanksgiving meal was a fun and joyous time. Our entire family was there. I recollect that there wasn’t much talk about the food at the table. Not any comments like, “This turkey is so moist and flavorful.” or “You have to give me the recipe for …”. Yeah, no, there was none of that. However, many people did comment on how good the pumpkin bread was, and I was more than willing to offer up my secret. At the end of the day I remember thinking how cool it was that everyone enjoyed that bread so much, and at that point, I convinced myself that I would one day enter the Pillsbury Bake Off. Fast forward 16 years. November 4, 2013. Las Vegas. The Aria Hotel. The Ironwood Ballroom. Workstation number 83. The 46th Pillsbury Bake Off. Me, a finalist, cooking my recipe with 99 other hopefuls for the judges. And, no, I was not preparing pumpkin bread! A lot happened in those 16 years. Somewhere along the way I picked up some food sense and cooking skills. I developed a passion for good food, food that was prepared with my own two hands and required more than pulling open a box or setting up a crisping sheet in the microwave. Food became one way, not the most important way, but one way for me to show my family and friends that I loved and cared for them. I was fortunate to have been a finalist in the Bake Off last year, and find it utterly amazing that I will be returning to the Bake Off as a finalist this year as well. I want to take the next few blog posts to chronicle my journey from last year and to keep you up to speed on this year’s venture. More than anything it will be a way to have a written record for my kids to look back on one day. So, if you dare, peek back every few days to see what I’ve added. Although the topic will be about the Pillsbury Bake Off, I’ll be sharing some lessons I learned along the way, lessons that have nothing to do with food.